The most comprehensive directory of churches in the greater St. Louis metro area. There are 3765 listings and 304 categories in our St. Louis Churches Directory. Find a St. Louis church that is right for you by searching the St. Louis Churches Directory by church name, location (city, category, zipcode) or by a variety of other criteria on our Advanced Search page. We encourage you to add church ratings and church reviews for churches that you have had experience with, so that the St. Louis Churches Directory can serve as a guide to the best St. Louis churches. 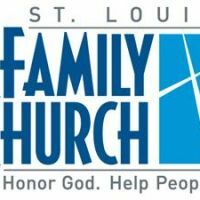 This directory of churches in St. Louis is sponsored by Life Church St. Louis, which is centrally located in Chesterfield, MO. We encourage you to consider Life Church St. Louis in your search for a new church home.